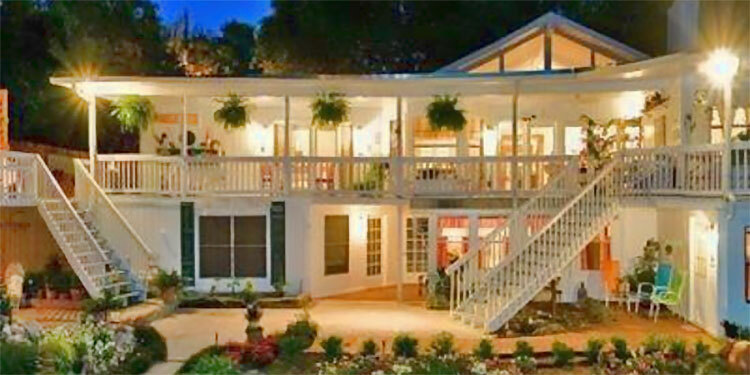 Welcome to an historic Bed and Breakfast! 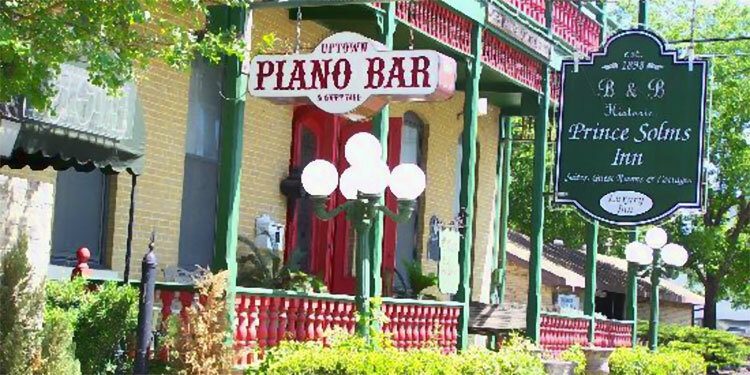 Uptown Piano Bar is just right downstairs in the Prince Solms Inn featuring talented musicians who play and sing your favorite songs. Dance if you wish. The entertainment enhances an evening of romance with your sweetheart, fun with friends or conversation with business associates. Outside and up from the Cellar is the Uptown Courtyard a great place for weddings, receptions, showers, private parties and special events. They offer a full-service bar, superb mixed drinks, wine, beer, appetizers, and cocktail snacks. 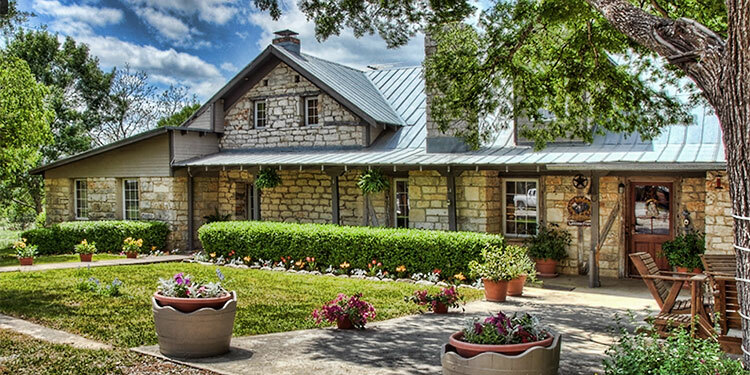 A Great Escape Bath Haus Spa is located on site in the carriage house behind the Inn. They offer a wide range of wonderful massage therapy services and body treatments. Wedding packages and specials are available. Also, they offer services to private parties to enjoy a true bath haus experience!